U.S. Army soldiers have to depend on their gear to save their life if needed. This tactical Army kubaton pen would do just that. At 5 7/8" overall, it is constructed with impact resistant aluminum to withstand devastating blows on attackers. A blunt tip on one end can be used as a kubaton while the pen top screws on the actual working ink pen on the other end. 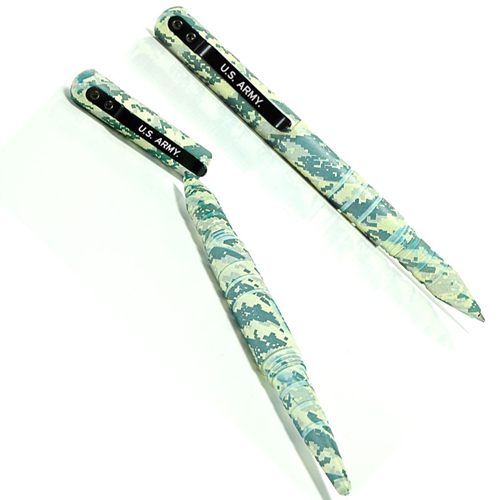 A heavy-duty pocket clip etched with "U.S. Army" ensures it's always there when needed.